As Fidel and Raúl Castro resigned, a new leader arrives at the presidential office, Miguel Díaz-Canel Bermúdez, 58 years old. The new president will be taking over the economically distressed island, which has been in crisis for decades now. However, he will play his new executive role surrounded by the Castro family. The new president decided to make vows to defend the Castro “revolutionary legacy.” The Castro family has had the management of the country since 1976. The first one of them to rule the country, Fidel Castro, held the lead from 1976 to 2008. He died in 2016, and his eldest son, known as “Fidelito,” killed himself earlier this year. Raúl Castro, who stepped down from being president this Friday, remains leader of the Communist party, and the head of the armed forces. Other members of the Castro family hold the management of the intelligence services and the military conglomerate that handles most state business. President Díaz-Canel began his term on Thursday. He gave a strident speech in which he promised to defend the socialist revolution led by the Castros since 1959, and emphasized the need to modernize the country’s economy. He was sworn in to replace Raúl Castro, and the National Assembly claimed an entrance to a new chapter for the Caribbean Island. However, they will keep the political system. Miguel Díaz-Canel already began his term. Image credit: Reuters. 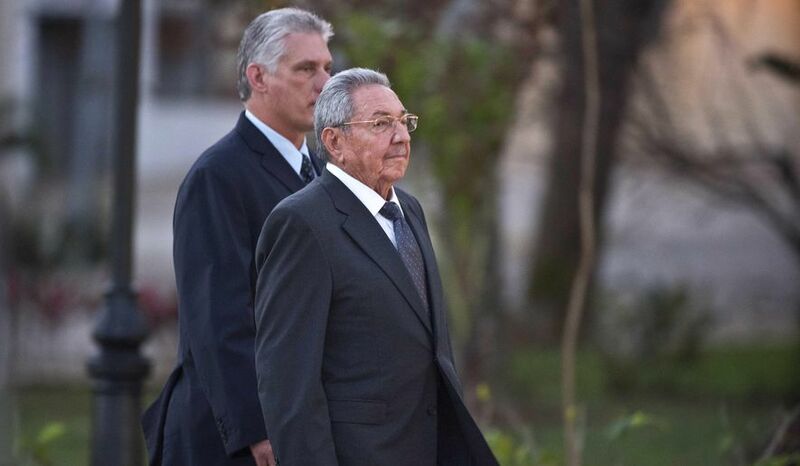 The president claimed during his speech that “the mandate given by the people to the house is to give continuity to the Cuban revolution in a crucial historical moment.” He also made a homage to Raúl Castro, and called him the best student of his brother Fidel. 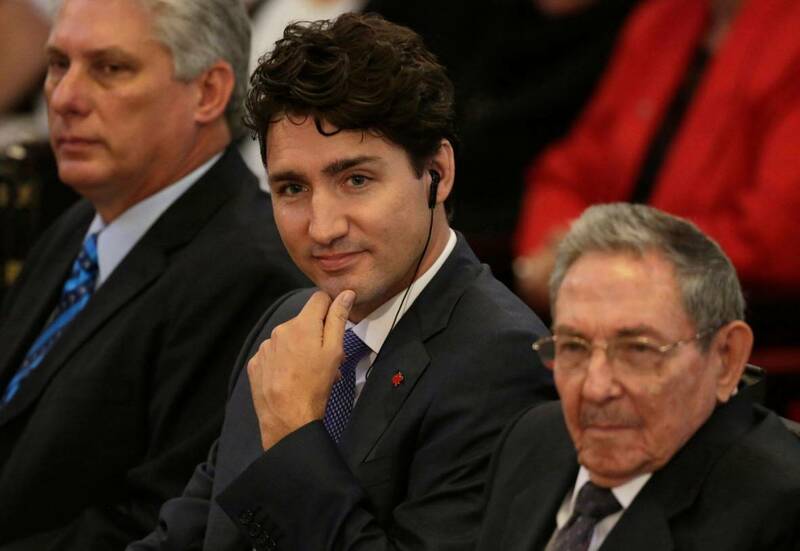 Raúl was handed the power in 2008 when Fidel’s health became fatal. Raúl Castro will remain the leader of the Communist party until their Congress set for 2021 takes place. 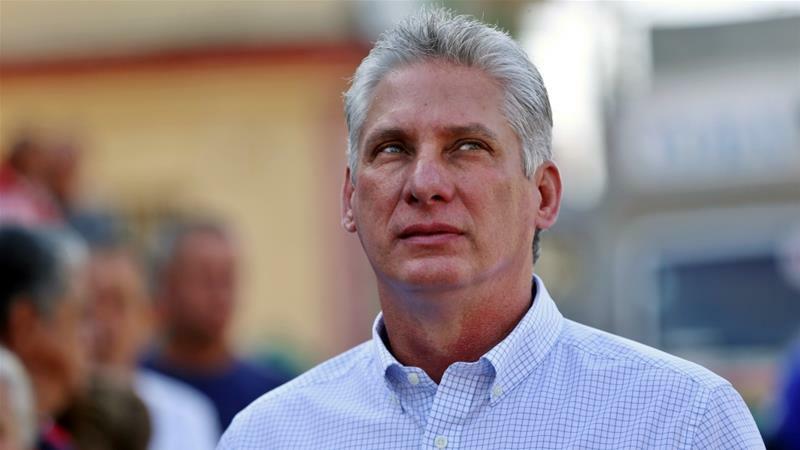 President Diaz-Canel explained Castro would remain the leader of the revolution and would still be involved in significant decisions. The president also called Raúl a fighter, and praised him for the reforms he led during his presidential period. “Don’t anyone get their hopes up. Díaz-Canel is purely there for a cosmetic change; he is an offshoot of Raúl and has no power or perceptible source of power. The succession is well underway, and the second generation of Castros is well lined up to take control when Raúl is really out of the picture,” explained María C. Werlau, a Cuba researcher who studies the consequences and legacy of the Cuban revolution. President Díaz-Canel declared that the transition would not proclaim sweeping changes to one of the world’s last state-run economies and one-party systems, and promised there would be no turning back to capitalism. However, he also stated that his period would be characterized by the “modernization of the economic and social model.” The new president also explained that he would hold dialogue with anybody who treated his country as an equal. Still, many Cubans who have to struggle with economic difficulties, and are frustrated with their government’s emphasis on continuing with their tactics instead of changing, see this transition as unlikely to bring something else than a mere symbolism of a new leader. “We always wish the symbolic would translate into real and concrete actions for our lives. But this isn’t the case,” claimed the editor of an alternative news outlet to the state-run media, Jose Jasan Nieves, 30 years old. Former President of the United States, Barack Obama, had worked along with Raúl Castro. They finally had agreed to restore long-severed diplomatic ties and hope for an end to seize the hostilities that had been going on for decades between Cuba and the US. Unfortunately, these relations have been distorted again under President Trump’s term. President Díaz-Canel was previously First Vice President of the Council of State and Council of Ministers, from 2013 to 2018. He has been a member of the Politburo of the Communist Party of Cuba since 2003, serving as Minister of Higher Education from 2009 to 2012. The president graduated from the Central University of Las Villas back in 1982 as an electronic engineer. Also, it was back then when he joined the Cuban Revolutionary Armed Forces. In 1987 he completed an international mission in Nicaragua as First Secretary of the Young Communist League of Villa Clara. His work with the Communist Party of Cuba started in 1993. When he was elected First Secretary of the Provincial Party Committee of Villa Clara Province, what would be commonly known as a position equivalent to a regional governor, he championed LGBT rights while his country was usually against homosexuality. Still, other members of the Castro family are waiting to, maybe someday, have the same position as their Fidel and Raúl did. There are many of them in line hoping to continue with the revolutionary legacy. Cubans are skeptical of this new president being an actual change or representing improvement fo their lives. They can only wait to meet or not their expectations.